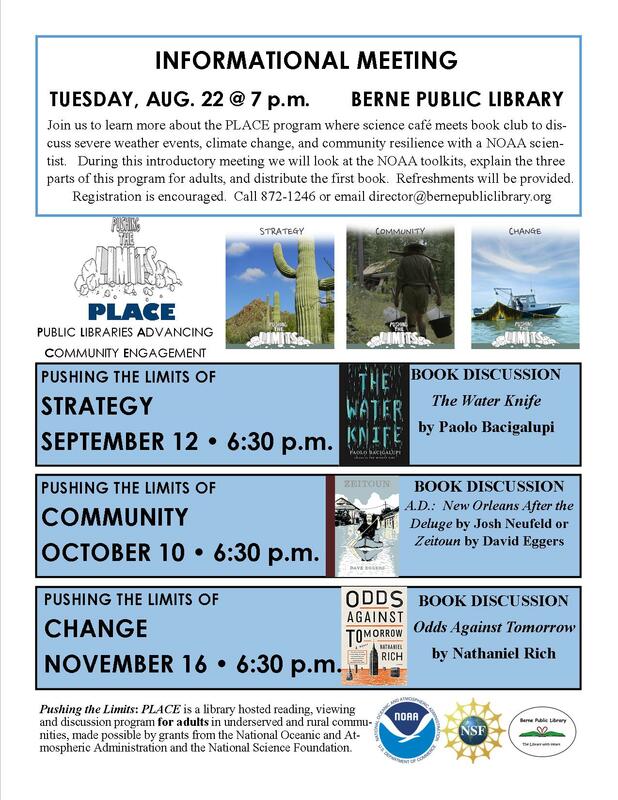 Berne Library is also offering this program. Click below to see their schedule. Remember to register. ​WHAT: A FREE reading, viewing and discussion series for adults. Each 90-minute facilitated program has a science café/book group format - participants read the selected books prior, view short videos followed by an open discussion on climate change. WHO: Anyone interested in discussing accessible strategies for adapting to a new climate and building community resiliency. Please Register even if not reading the books. NEW YORK CITY, the near future: Mitchell Zukor, a gifted young mathematician, is hired by a mysterious new financial consulting firm, FutureWorld. The business operates out of a cavernous office in the Empire State Building; Mitchell is employee number two. He is asked to calculate worst-case scenarios in the most intricate detail, and his schemes are sold to corporations to indemnify them against any future disasters. This is the cutting edge of corporate irresponsibility, and business is booming. As Mitchell immerses himself in the mathematics of catastrophe--ecological collapse, global war, natural disasters--he becomes obsessed by a culture's fears. 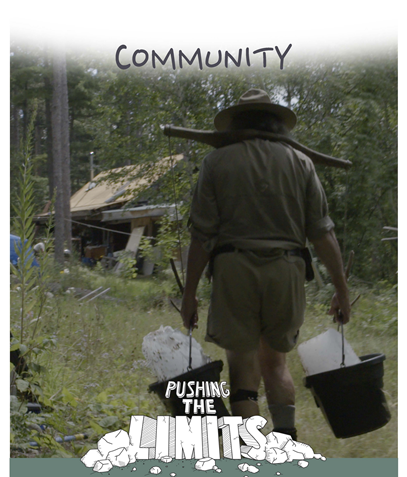 Yet he also loses touch with his last connection to reality: Elsa Bruner, a friend with her own apocalyptic secret, who has started a commune in Maine. Then, just as Mitchell's predictions reach a nightmarish crescendo, an actual worst-case scenario overtakes Manhattan. Mitchell realizes he is uniquely prepared to profit. But at what cost? 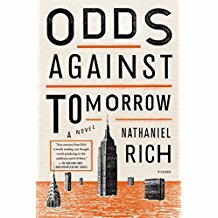 At once an all-too-plausible literary thriller, an unexpected love story, and a philosophically searching inquiry into the nature of fear, Nathaniel Rich's Odds Against Tomorrow poses the ultimate questions of imagination and civilization. The future is not quite what it used to be. 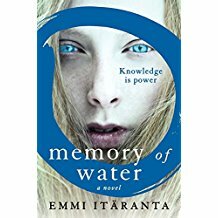 An amazing, award-winning speculative fiction debut novel by a major new talent, in the vein of Ursula K. Le Guin. Global warming has changed the world’s geography and its politics. Wars are waged over water, and China rules Europe, including the Scandinavian Union, which is occupied by the power state of New Qian. In this far north place, seventeen-year-old Noria Kaitio is learning to become a tea master like her father, a position that holds great responsibility and great secrets. Tea masters alone know the location of hidden water sources, including the natural spring that Noria’s father tends, which once provided water for her whole village. In the near future, the Colorado River has dwindled to a trickle. Detective, assassin, and spy, Angel Velasquez “cuts” water for the Southern Nevada Water Authority, ensuring that its lush arcology developments can bloom in Las Vegas. 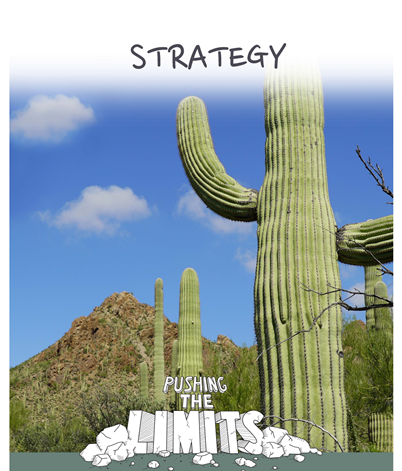 When rumors of a game-changing water source surface in Phoenix, Angel is sent south, hunting for answers that seem to evaporate as the heat index soars and the landscape becomes more and more oppressive. There, he encounters Lucy Monroe, a hardened journalist with her own agenda, and Maria Villarosa, a young Texas migrant, who dreams of escaping north. As bodies begin to pile up, the three find themselves pawns in a game far bigger and more corrupt than they could have imagined, and when water is more valuable than gold, alliances shift like sand, and the only truth in the desert is that someone will have to bleed if anyone hopes to drink. Preparedness Information - Are you ready? 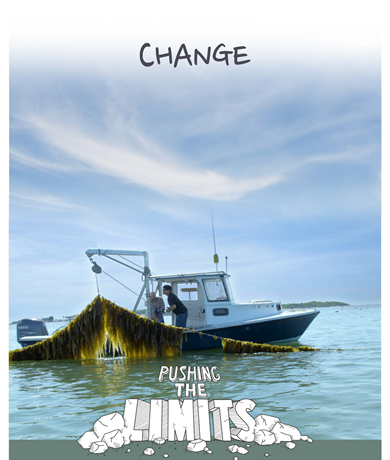 Pushing the Limits: PLACE is a library hosted reading, viewing and discussion program for adults in underserved and rural communities, made possible by grants from the National Oceanic and Atmospheric Administration and the National Science Foundation.